SAF–Madanjeet Singh Group Scholarship is a unique feature of South Asian Studies programme at Pondicherry University. Sixteen scholarships are awarded to Master's students from South Asian countries (eight boys and eight girls). The scholarship award covers the entire tuition fees, travel (round trip economy airfare only for international students) boarding and lodging at Pondicherry University for two years. All SAF Scholarship students are entitled for a monthly stipend of Rs. 10000/- during their course period. The scholarship will not cover expenses on dependent, if any, of a scholarship holder. They will have to fully support their dependents. The South Asia Foundation Chapter from each SAARC county (i.e) Afghanistan, Bangladesh, Bhutan, India, Maldives, Nepal, Pakistan and Sri Lanka will select two candidates and inform its selection to the university. 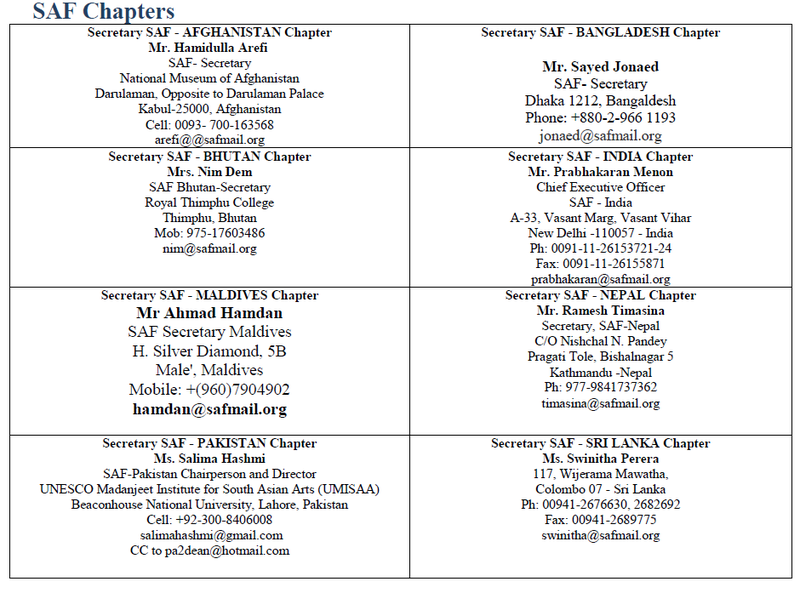 While selecting candidates, the SAF chapters may give preference to candidates having graduate degree in Political Science, International Relations, Economic, Defence Studies, History and Sociology, etc. The SAF Scholarship holders will be subject to same rules and regulations regarding attendance and discipline, etc, as applicable to other students of the University. Candidates interested in this scholarship will have to directly apply to the SAF Chapter in their respective countries.